Gamma-irradiation prevents the partitionability of immuno-competent cells. The transmission of these cells, without irradiation, can cause serious and often mortal complications - Graft-versus-host-disease (GVHD) - for immuno-deficient patients. Analysis - after irradiation - of the molecular mechanism in the case of diseases which are connected with a defect of the enzyme system. The self-shielded GSR C1 contains up to 3 Cs-137 sources with a maximum total activity of 120 TBq. The half-life period of the CS-137 is about 30.2 years. 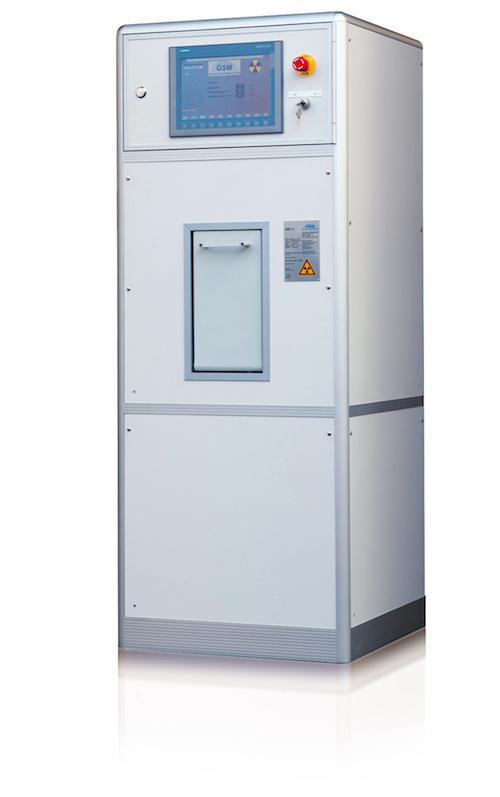 The dose rate of <5μSv/h at the surface of the irradiation device is far below the regulated limit value. 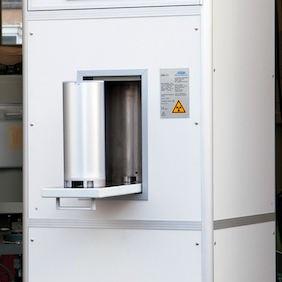 The user positions the irradiation good in the 3.8l containing stainless steel irradiation beaker and puts it in the rotatable irradiation chamber. The complete closure of the tailboard is checked automatically. The opening of the tailboard is not possible during irradiation. At the touch screen you set the irradiation parameters. After the manual starting of irradiation the irradiation drum rotates 180° and the beaker is located directly in front of the radiation sources. Parallel, the electronic control starts the rotary motion of the beaker with approx. 20 rpm. Thus a homogeneous dose distribution in the irradiation beaker is guaranteed. After operation time the irradiation chamber drives into the starting position and the rotation of the beaker is stopped. The tailboard can be opened and the beaker can be taken out. The irradiation device is delivered in a licensed B(U) type transport packaging. 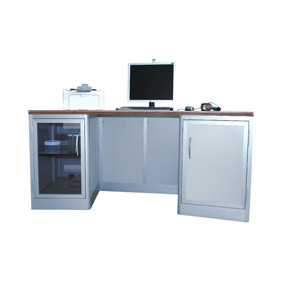 The installation inclusive dosimetry is accomplished by authorised service technicians. Regarding the assembly a room size of minimum 2.5m x 2.5m is required. The floor loading is about 5.2t/m2.